"Jeet Sports Academy" is affiliated to WUSHU ASSOCIATION OF M.P. INDIA which is recognised by M.P. SPORTS & YOUTH WELFARE DEPARTMENT GOVT. OF M.P. The director of "Jeet Sports Academy" Mr. Mukund Jhala is himself a fit and professionally trained person who has experience of more than 15+ years. He is attached with many schools and reputed organisation. The main object of Jeet Sports Academy is to spread the knowledge of sports in the regions of India by arranging camps, seminars, workshops, Tournaments. Self defence art has become necessity in this age of competition and with this it is also necessary to keep ourselves fit and fine and here this academy is working greatly by giving professional training of MARTIAL ARTS, WUSHU, Jump Rope etc. With this the academy is also giving yoga training, fitness training to every segment of society. 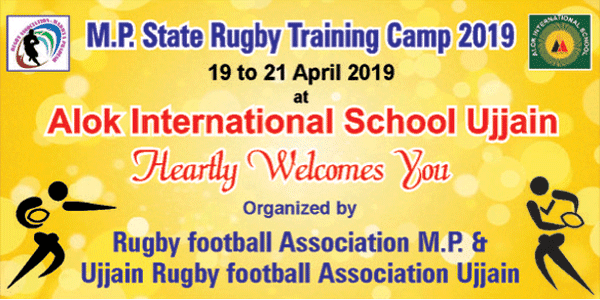 Competition at national level, district level, rural level is also arranged by Jeet Sports Academy of Ujjain in which participants from all over India take part. "Jeet Sports Academy" also give training to generate good referee, instructors in the field of sports. So every one can join this best sports academy for bright future. Be a member of this academy now, join with your friends, children, family members and live a healthy and successful life. Best quality sports suits, sports equipments are also available here for every one. Don't hesitate to contact to clear your any kind of doubts. Mail or call directly to the director of "Jeet Sports Academy", Mr. Mukund Jhala. About Jeet Sports Academy, Jeet Sports Academy, Ujjain best sports academy, Best Wushu trainer in ujjain, best jump rope trainer in ujjain, wushu training center, yoga training center in ujjainHealth and fitness center in ujjain. How To Start Sports Club In India ?